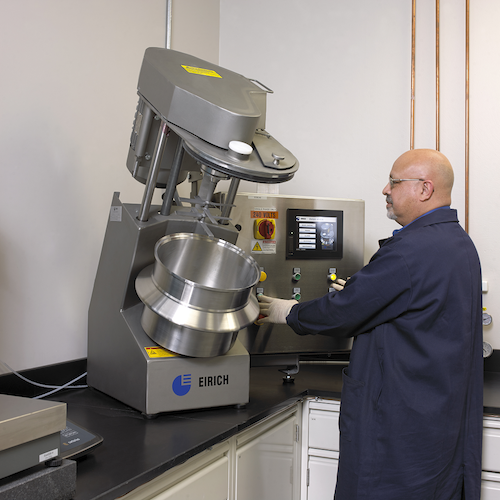 VEM has an Eirich Blender for blending powder materials to produce compound targets. It's PLC controlled in an inert gas atmosphere. A Jar Mill is used for smaller R&D runs. A V-Blender is used for large batch mixes not requiring inert gas atmosphere.